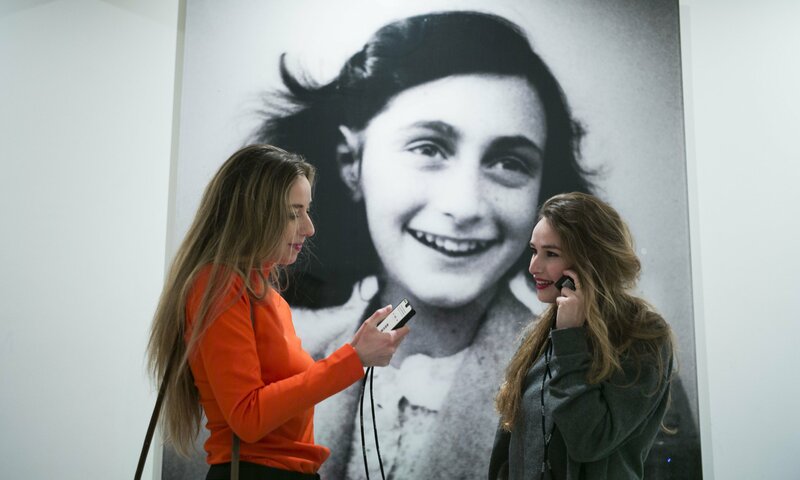 Are you planning to visit the Anne Frank House, and do you want to prepare for your visit? Here, you will find practical information about our facilities, special facilities for visitors with disabilities, and our Terms and Conditions for Visitors. There are many stairs in the Anne Frank House. If you have difficulty walking, you may have trouble climbing the steep stairs. The museum has a cloakroom where you can leave your coat, bag, umbrella, or buggy. Only bags that are smaller than an A4 sheet of paper can be carried inside. We do not have room to store large bags and backpacks, suitcases, or other large items. Please leave your luggage at your hotel or deposit it at Amsterdam Central Station, otherwise, you may not be able to visit the museum. The audio tour is key to your visit to the museum. It provides you with more information about the persecution of the Jews, the Second World War, the people in hiding, and their helpers. The audio tour is an essential addition to the stories told inside the museum and to the documents and objects you will see there. 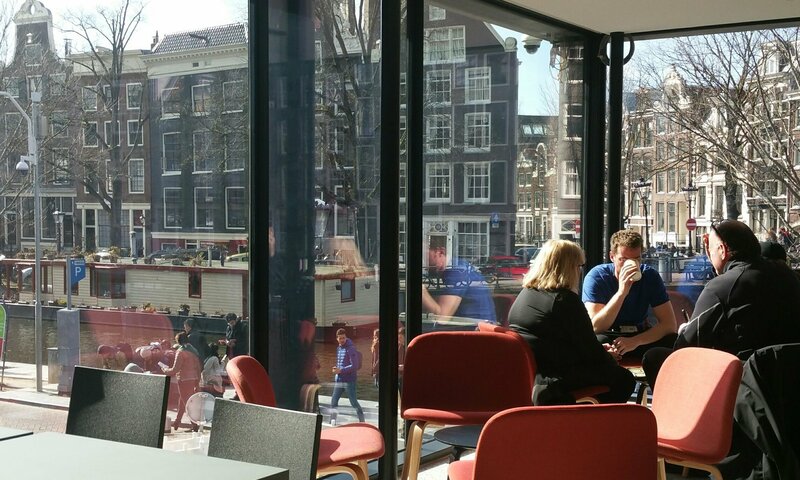 After your visit, you can sit down and talk in the museum café, enjoying a beautiful view of the Prinsengracht. We offer a wide range of hot and cold drinks as well as various snacks and lunch dishes. The cafe can only be accessed through the museum. 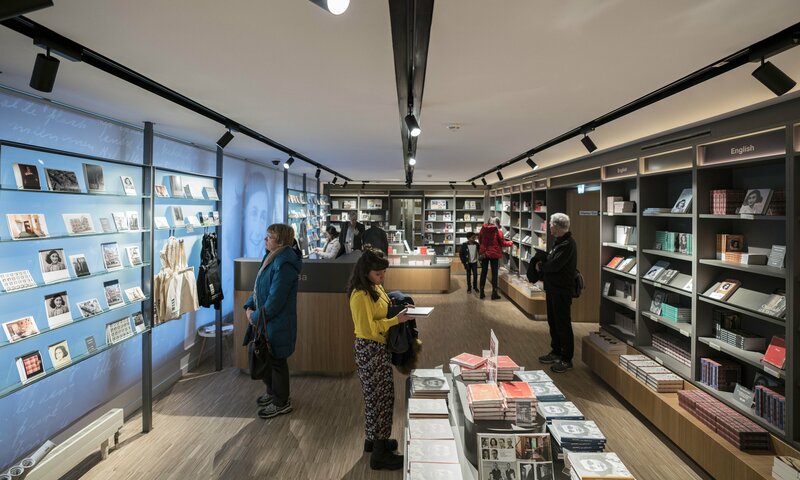 Here, you can buy The Diary of Anne Frank, the museum catalogue, postcards, or one of our many other publications. Your purchase helps the Anne Frank House conserve the museum and contributes to our (educational) activities. The museum shop keeps the same opening hours as the museum and can only be accessed through the museum. The range of items sold in our shop is also available online. In order to protect the original items in the museum and to avoid causing nuisance to other visitors, photography is not allowed in the museum. We want everyone to have a pleasant visit. Our Terms and Conditions for Visitors are part of our efforts. These Terms and Conditions cover access to the museum, the code of conduct for visitors, and our complaints procedure, among other things. Read our Terms and Conditions for Visitors.